As a stay-at-home mother with my husband working 40+ hours per week, simply put, I have a lot on my plate! I'm solely responsible for taking care of all the important tasks that keep our home in order and running properly. Oftentimes, that includes running errands for various purposes. 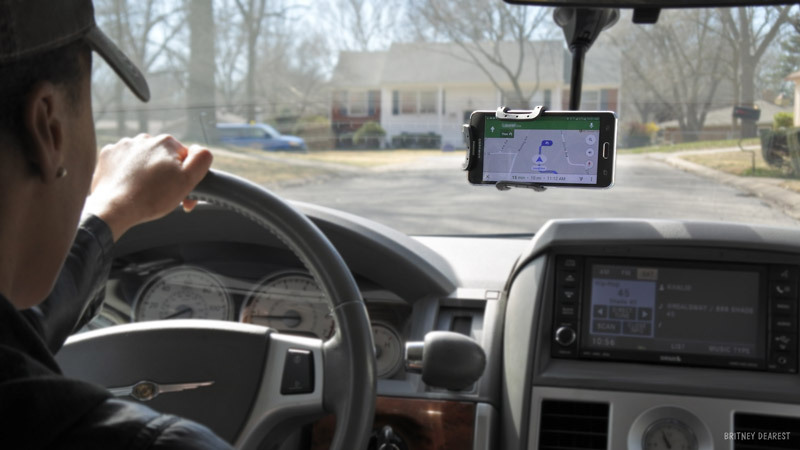 As much as my son and I are outside the home, it's mandatory that we have a smartphone with a plan that offers a significant amount of data as well as budget friendly. Many of us have already or will receive a tax refund and it's crucial that we invest that extra cash wisely. 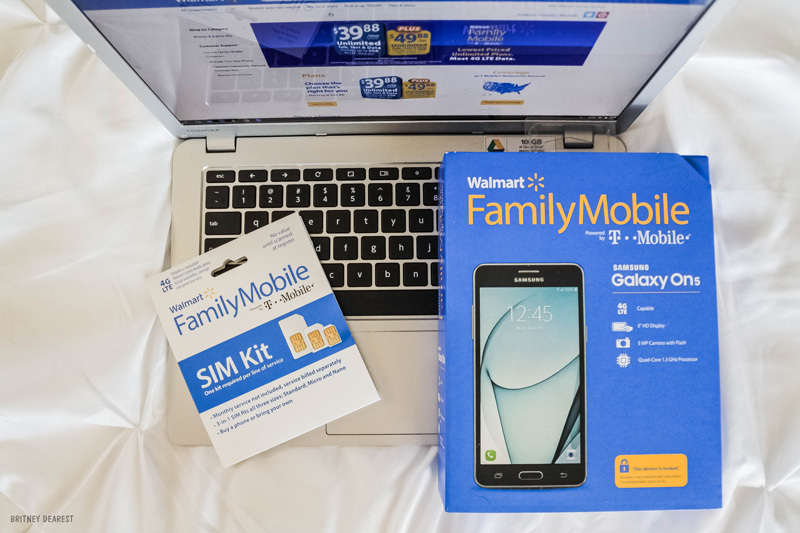 When it comes to mobile phone service and data, Walmart Family Mobile PLUS gives us all a chance to do just that- invest wisely! My mobile service plan through a major wireless provider provided me with 1GB of data per month (I know, right?!) and purchasing extra data was out of our budget. 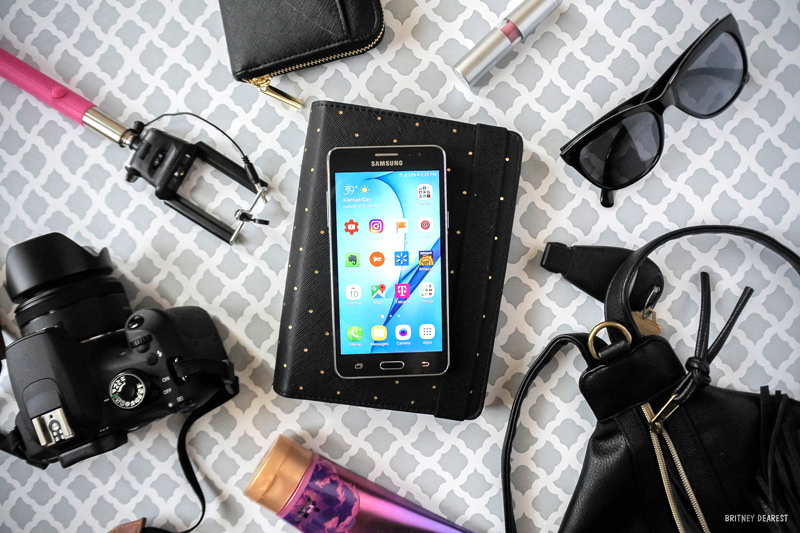 While on the go I frequently use apps for syncing important notes, GPS navigation, music streaming, finding recipes and creating grocery lists, searching for coupons and discounts through store apps, and the list goes on! As a blogger and video creator, I like to check my email throughout the day, update social media statuses, and engage with other users. I use my favorite note-taking and organizing apps to collect ideas and edit blog posts on the go. Also, I'm not ashamed to admit that in order to successfully run errands with my rambunctious 5-year-old son, my phone is the most effective method for keeping him occupied. He gets restless quickly after going from, according to him, boring place to boring place. 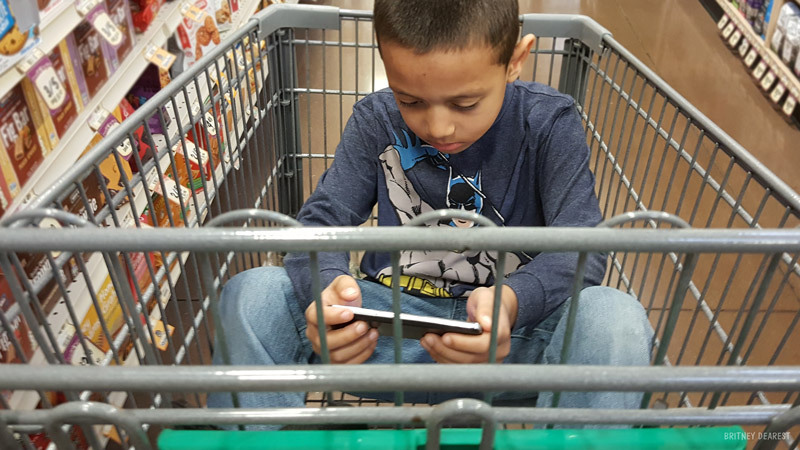 Allowing him to play his favorite games or watch his favorite shows on my phone has been a lifesaver! It's easy to see how my personal usage along with my son's usage put us over the data limit every single month and slowed our service quicker than we'e like. Thankfully, with Walmart Family Mobile that's a problem of the past! 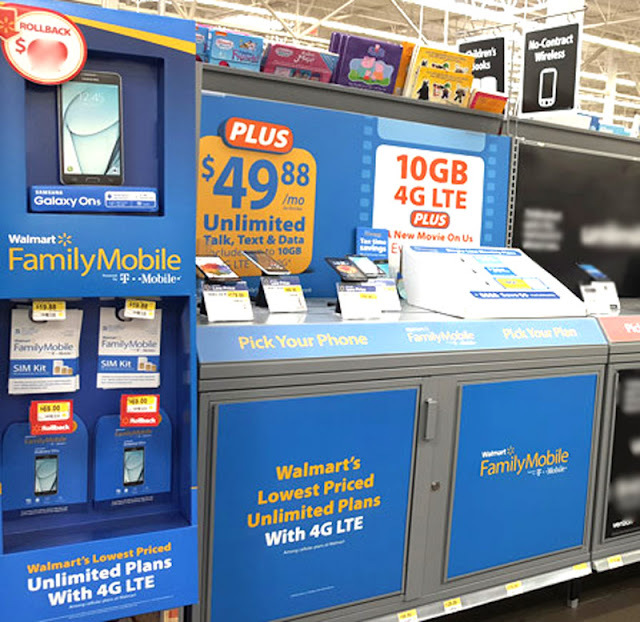 Walmart Family Mobile PLUS offers my family a service plan that not only fits our monthly budget but also fits our usage needs. For $49.88 per month Unlimited Talk, Text, & Data which includes up to 10GB 4G LTE then 2G. There are no annual contracts and each line receives a free monthly VUDU movie credit (a $7 value which is the same as a new release rental) for viewing on a SmartTV, Roku, Chromecast, gaming console, and similar systems. My family enjoys having relaxing movie nights together so that's a perfect added bonus! I'm planning to share how we set up and prepare for movie night so be sure to stop by again soon! You can visit the electronics department at your local Walmart store where you can either chose one of the available smartphone options, like the Samsung Galaxy On5 for $119 or bring in your own phone and purchase your SIM Kit for only $19.88. I purchased the Samsung Galaxy On5 and so far, so good! The setup was quick and simple. 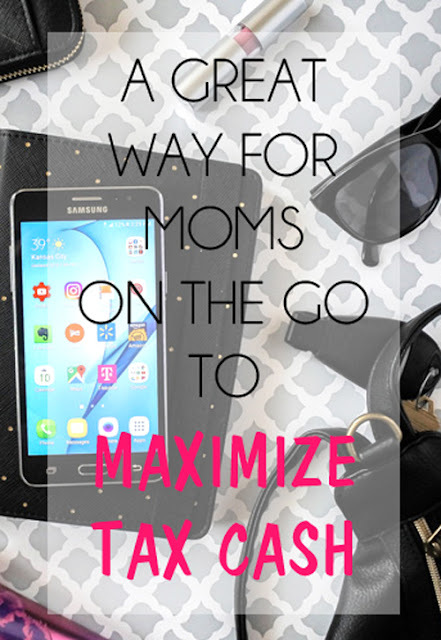 There's no doubt in my mind that the data to price ratio of Walmart Family Mobile PLUS make it a great investment for busy families on the go! You could even add an additional line for that preteen who has been begging you for a phone. I have been considering purchasing a phone for... never mind. She may read this and get excited before I actually make up my mind. What are your plans to ensure that you make beneficial investments with your tax cash this spring? Absolutely! Thanks for stopping by Stephanie! This year I'm saving my tax refund! Also, I love that they offer unlimited data that is something that I desperately need with all the travel I do. The unlimited data is definitely a great selling point!